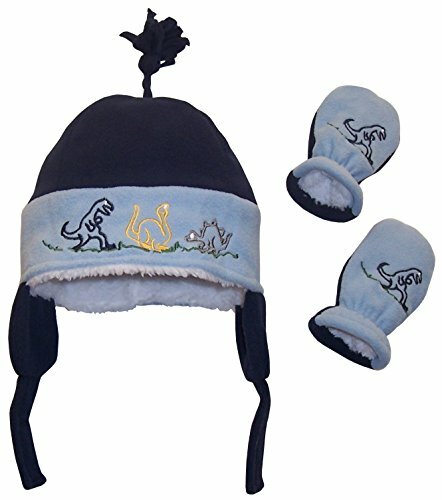 N’ice Caps boys Sherpa lined dino embroidered fleece hat and mitten set. Soft and comfortable. Available in 3 colorways: navy/royal, charcoal grey/black, navy/light blue. 4 sizes: one size fits 3-6 Months; One size fits 6-18 months; One size fits 18-36 months; One size fits Child 3-6 years. Tested and approved as per CPSIA standards. Designed in the USA.